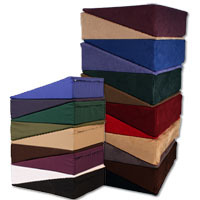 Size: Please Select Size: Standard 25" x 15" Queen 30" x 15" King 36" x 15"
Shredded foam pillows are designed for use while traveling. Because they are highly compactible, they can fit into nearly any type of bag or suitcase, providing comfort without the hassle. Of course, these pillows can continue to be used at home once you return from your trip. The shredded foam is able to shift and move within its cover and easily mold to the user. Available in multiple colors to match your home or business décor. NOTE: If ordering an additional zippered cover, the inner liner will be white accord.